20% off Pre-sale of Sara Roy's new expanded third edition. Orders will ship January 2016. 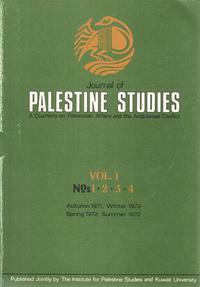 This Special Focus highlights a series of articles from our Journal of Palestine Studies archive on the Palestinians in Israel whom are increasingly central to the Palestinian struggle for self-determination, unity, and national dignity. Harvard researcher Sara Roy held a round table on Gaza during last year's MESA conference in Washington, D.C. 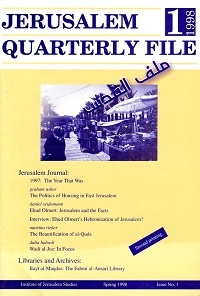 The Institute for Palestine Studies is pleased to publish the presentation papers here for the first time: “The Coming War Will Be a Nightmare,” Paul Gaston Aaron; “Gaza: The Unprotected Edge of Palestine,” Brian K.
The Institute for Palestine Studies and Mada al-Carmel - Arab Center for Applied Social Research cordially invite you to attend a conference about The ’48 Palestinians and the Palestinian National Project: Role and Status which will be held on the 7th and 8th of November 2015 at Birzeit University, Faculty of Law, hall no. 243 from 9:30 am to 4:00 pm and on the 9th of November 2015 a round table will be held at the Golden Crown Hotel, Nazareth, at 5:00 pm. Buried among the roughly six thousand uncatalogued volumes located in the reading room of the Khalidiyya Library in the Old City of Jerusalem is a hand-written workbook of one of the first Palestinians to study the Hebrew language.